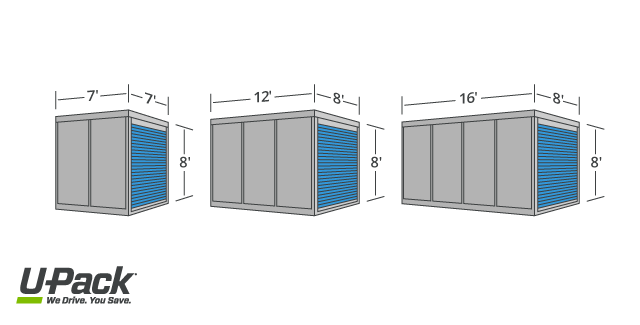 « Who Has the Absolute Cheapest Moving and Storage Pods? 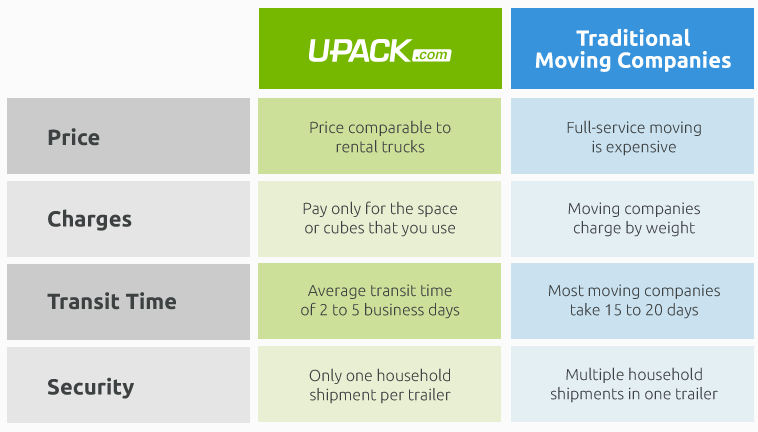 When you make your reservation with UPack be sure to mention referral number PACK06 to save even more on your U-Pack Move! Only pay for the space you need with UPack. Charging by the foot is what makes UPack so flexible. Don’t pay for what you don’t use the way you will with other companies. And with our UPack promo code you will save even more. Everyone knows that moving is expensive and no fun, so you might as well make it a little less of a hassle by using a flexible UPack storage container. And now you can make it a little cheaper also! U-Pack will drop off one of it’s ReloCube boxes in your driveway or nearby your front door. Then you have up to 3 days to load the moving container. U-Pack will then deliver the moving container to your new home. This usually takes about 5 business days. Upack containers are meant to be used for long distance moves, not local ones. Once relocated, you’ll have another 3 days to unload the container. UPack has become a very popular way to move recently due to this level of convenience. And their tough containers (durable metal) means your belongings will be safe during their transit.